I have an Excalibur 8500-II furnace and the gas ignition has stopped working. The blower works fine but no spark to ignite gas. What could it be? Mike, there are a few things that may be causing this, the most likely of which is low voltage, a faulty control board, incomplete ground circuit or loose wiring. 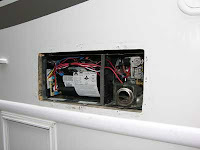 Open the furnace access panel on the outside of the coach to gain access to the control board and wiring. Carefully unplug the wiring harness from the control board and visually inspect the plug and board contacts for damage, dirt or corrosion. If the board contacts show any sign of corrosion you can clean them minimally with a regular pencil eraser, completely with a chemical cleaner and protectant. If there is corrosion or dirt on the plug contacts carefully scrape it off with a fine screwdriver, dental pick or similar tool. Be very careful not to bend the connectors in the plug or they won’t make proper contact with the board contact strip. Check for voltage between the red and yellow wires with the furnace turned on. Any voltage lower than 10.5-volts DC will likely cause the system to malfunction. Check the connector wires for damage and loose connections, paying particular attention to the yellow ground wire. Securely re-connect the wiring harness to the control board and test the system again. If it still doesn’t work, I would suspect a board problem. 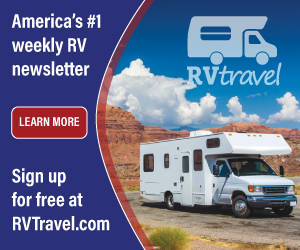 The board can be easily removed and taken to a qualified RV shop to have it tested. Other possible culprits are the sail switch or limit switch. It is also possible that the blower is not reaching its rated speed or that the combustion wheel has become loose or weighted down with lint and dust. These components are relatively difficult to access and test without disassembling the furnace further or removing it from the coach. Unfortunately, space limitations prohibit us from going deeper here. However, I’d have to place my bet on low voltage anyway.